Chartered in 1845 by the Republic of Texas and affiliated with the Baptist General Convention of Texas, Baylor is both the state’s oldest institution of higher learning and the world’s largest Baptist university. Established to be a servant of the church and of society, Baylor seeks to fulfill its calling through excellence in teaching and research, in scholarship and publication, and in service to the community, both local and global. The vision of its founders and the ongoing commitment of generations of students and scholars are reflected in the motto inscribed on the Baylor seal: Pro Ecclesia, Pro Texana — For Church, For Texas. Pro Ecclesia. Baylor is founded on the belief that God’s nature is made known through both revealed and discovered truth. Thus, the University derives its understanding of God, humanity, and nature from many sources: the person and work of Jesus Christ, the biblical record, and Christian history and tradition, as well as scholarly and artistic endeavors. In its service to the church, Baylor’s pursuit of knowledge is strengthened by the conviction that truth has its ultimate source in God and by a Baptist heritage that champions religious liberty and freedom of conscience. Without imposing religious conformity, Baylor expects the members of its community to support its mission. Affirming the value of intellectually informed faith and religiously informed education, the University seeks to provide an environment that fosters spiritual maturity, strength of character, and moral virtue. Pro Texana. Integral to its commitment to God and to the church is Baylor’s commitment to society. Whereas that society in the mid 1800s was limited to Texas, today Baylor’s sphere of influence is indeed the world. The University remains dedicated to the traditional responsibilities of higher education — dissemination of knowledge, transmission of culture, search for new knowledge, and application of knowledge — while recognizing the global proportions these responsibilities have assumed. Moreover, within the context of an ethnically and culturally diverse community, Baylor strives to develop responsible citizens, educated leaders, dedicated scholars, and skilled professionals who are sensitive to the needs of a pluralistic society. To those ends, Baylor provides expanded opportunities for civic education and for church and community service at home and abroad. Pro Ecclesia, Pro Texana. Baylor University is committed to excellence at the undergraduate, graduate, and professional levels. Within the undergraduate programs, the University seeks to familiarize students with the principal bodies of knowledge, cultural viewpoints, belief systems, and aesthetic perspectives that affect the world in which they live. Within the graduate and the professional programs, the University provides advanced educational opportunities to develop ethical and capable scholars and practitioners who contribute to their academic disciplines, professional fields, and society. Baylor encourages all of its students to cultivate their capacity to think critically, to assess information from a Christian perspective, to arrive at informed and reasoned conclusions, and to become lifelong learners. Beyond the intellectual life, the University pursues the social, physical, ethical, and spiritual development of each student. 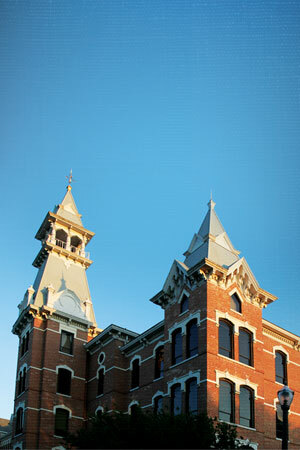 Aware of its responsibility as the largest Baptist educational institution in the world and as a member of the international community of higher learning, Baylor promotes exemplary teaching, encourages innovative and original research, and supports professional excellence in various specialized disciplines. Advancing the frontiers of knowledge while cultivating a Christian world-view, Baylor holds fast to its original commitment — to build a university that is Pro Ecclesia, Pro Texana.